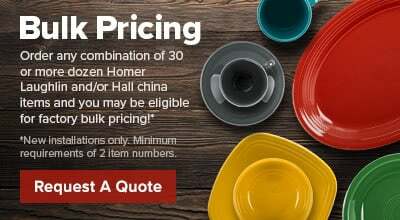 Perfect for use in fine dining at hotels, restaurants, or catered events, this Homer Laughlin 1430-0341 Green Jade Gothic 10.5 oz. 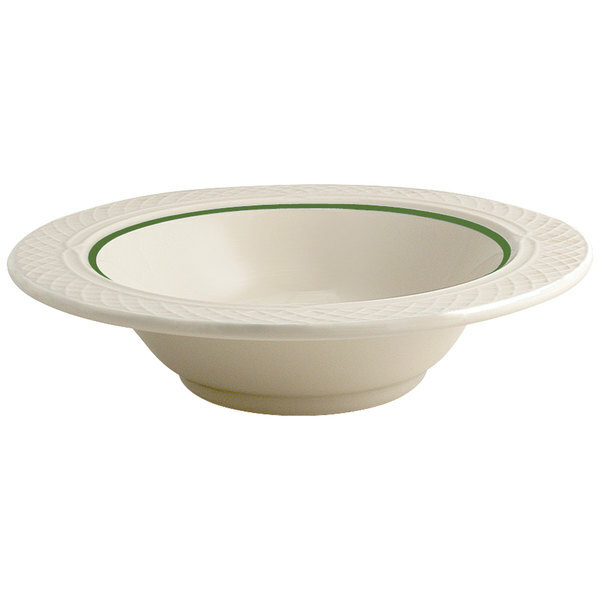 grapefruit bowl serves as an elegant backdrop for fresh fruit, side dishes, and desserts. It features intricate lattice sculpting encompassing the entire rim and is accented by a fine green ring along its outermost edge to give your entrees the presentation they deserve.